Diamond edition of Jumping Amsterdam, equine veterinarians with specific interest in sport horses are able to attend the 15th edition of the Veterinary Sport Horse Congress. International top speakers are invited for this 2-day programme on the 25-26 January about sport horse medicine and management. The practical pre-congres day, MTS Sport Horse in Practice, is organized at at Utrecht University on 24 January. Jumping Amsterdam represents sport, entertainment and the Dutch capitol Amsterdam. These are the components for the success formula that Jumping Amsterdam has become. From 24 until 27 January 2019, Amsterdam is the host for the world's best riders in both show jumping (CSI4*) and dressage (CDI-W). Jumping Amsterdam presents more than 50 pre-selected stands where you can buy the best and newest equestrian products. Also, for good food and drinks, Jumping Amsterdam is the place to be. Furthermore, Cafe Bolle Jan and famous Dutch artists will bring you the best entertainment until the early hours. RAI Amsterdam is uniquely situated, a mere 12 minutes from the city centre and 8 minutes from Schiphol international airport. The Veterinary Sport Horse Congress is organized in the the Forum Room, which can provide room for 300 guests, the Forum Centre features various meeting rooms and lounges and it’s directly linked to the Holland Complex, the venue where Jumping Amsterdam will take place. RAI Amsterdam is easy to reach by both public transport or by car. There are ample parking facilities on and outside the venue. 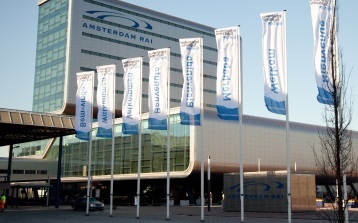 RAI Amsterdam is situated 8 minutes from Amsterdam’s city centre and 15 minutes from Amsterdam Schiphol Airport. 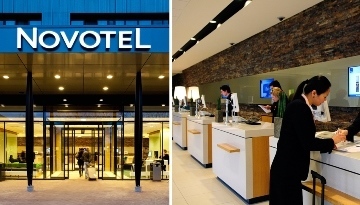 Novotel Amsterdam City is situated opposite the Amstel Park in the heart of Amsterdam’s business district, close to the A10 highway and only a short 10-minute walk to RAI Amsterdam. The hotel is easily accessible by train or car. The new Novation rooms offer guests maximum comfort and an inviting atmosphere. Key elements are space, modern colours and flexibility. The rooms are characterized by their contemporary design, with an extra long bed, a mobile desk with large working space and a comfortable sofa. For Veterinary Sport Horse Congress participants Proveto has special discounted rates.